Call f Duty WWII is a first-person shooter video game developed by sledgehammmer Games and published by Activision. it is the fourteenth main installment in the Call Of Duty series and was released worldwide on November 2017 for microst windows, playsaion, and Xbox. 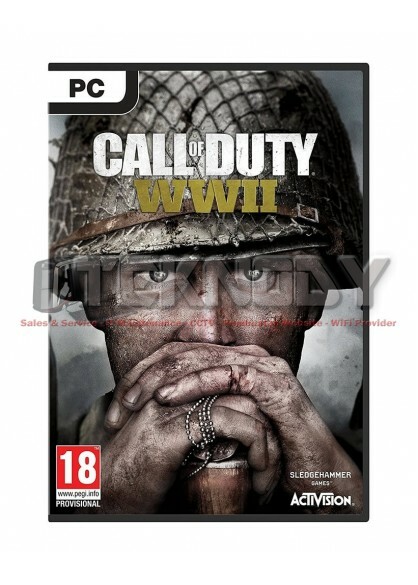 it is the first titile in the series to be set primarily during World War II since call of duty 2017. Infantry, The most versatile divisions in the game, it is equipped for mid to long range combat. The Special skill of this divisions is the bayonet charge, which can lead to brutal melee combat. Airbone, This divisions makes players move fast while remeaning quiest. Players in this divisions can attach suppressors to sub-machine guns at any time during combat which allows for more stealth based gameplay. Armored, This ivisions has the heaviest firepower, being able to mount machine guns while taking less fire and explosive damage.